Post-release expansions from ‘Soulsborne’ games have been consistently excellent ever since they were first introduced in Dark Souls, offering some of the best content each game had to offer. 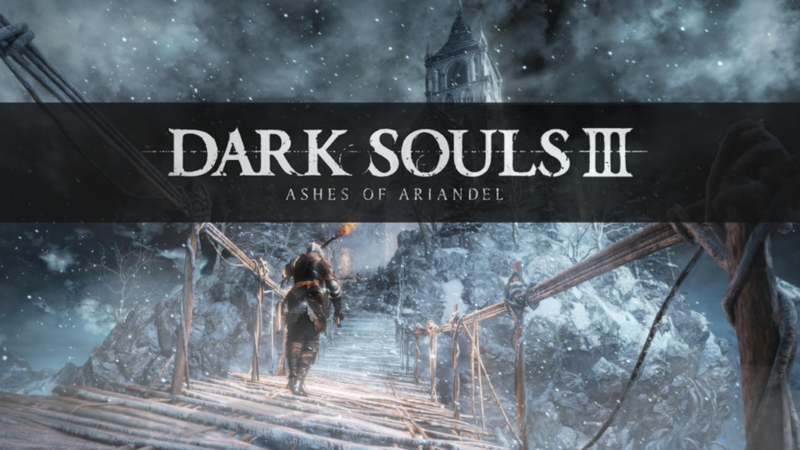 Ashes of Ariandel doesn’t quite live up to past content, feeling a bit too short, but it does offers some great additions to Dark Souls 3 by adding some interesting, new weapons, armor, and long-term, player-vs.-player fun. Ashes of Ariandel is the first planned dlc for Dark Souls 3. The journey begins when the player character is cryptically summoned to the Painted World of Ariandel. 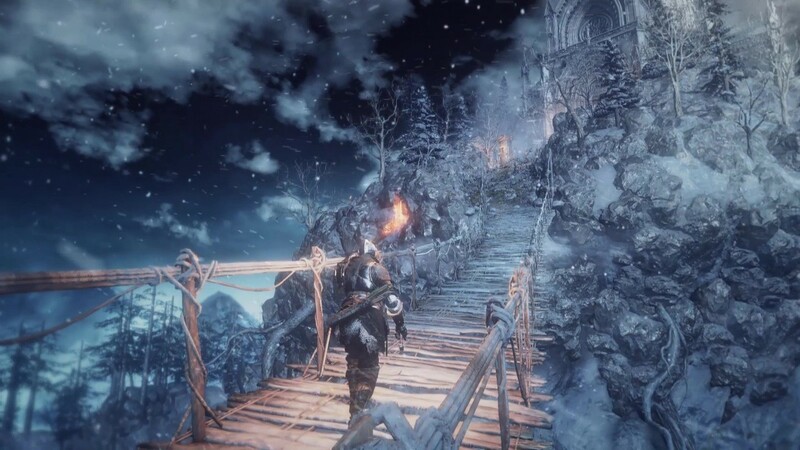 Anyone familiar with the Painted World of Ariamis location from the original Dark Souls will immediately see the similarities in Ariandel. Aside from both taking place literally inside a painting, Ariandel conjures the same twisted, wintery decay found in Ariamis. Dark Souls 3 ran with the idea of everything being familiar, yet different, and this area stays true to that formula. It slowly becomes obvious the focus of this dlc was on cooperative play and ‘PvP’. Each area, from the mountainous forest to an icy village, is littered with enemies meant to attack in packs. 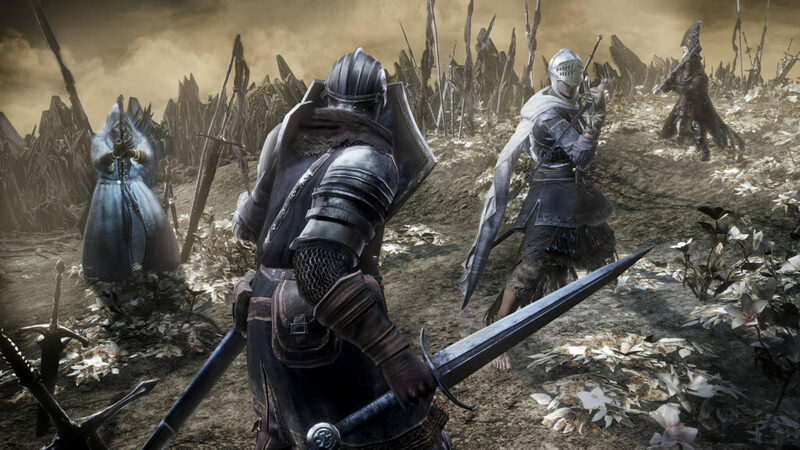 Additionally, there are a handful of NPC battles meant to simulated PvP duels scattered throughout the game – more than usual for any ‘Souls’ dlc, and even the boss encounters incorporate this same approach. If that wasn’t enough, Ashes of Ariandel includes a new multiplayer arena where players can choose between multiple game modes, but more on that later. While the size of the Painted World is as big, if not bigger, than most other Souls dlcs, it didn’t feel that dense. The entirety of the experience can be completed in less than a day. Rather than trying to fight each of numerous enemies over and over after every death, I found myself simply running past most enemies to avoid each tedious encounter. I also expected to come to a grinding halt during each boss encounter, but I did not spend very long fighting each of the two boss battles. Granted, I did summon npc help during the final boss, which definitely made the battle easier, but it was also there by design, which is all I will say to avoid spoilers. On a more positive note, the final fight in particular had some of the best sequences ever in a Souls game. From a lore perspective, the story presented relating to the Painted World was one of the most interesting aspects of the dlc, but it left me asking more questions than receiving answers, making me wonder if I missed one last npc encounter sequence (I didn’t). I’d also like to note, from certain ascetic decisions, story concepts, and gameplay inclusions, Ashes was a bit reminiscent of Bloodborne, which was a little surprising to see. The most prominent feature in Ashes is the new co-op game mode called the, “Hollow Arena”. The Hollow Arena isn’t that much different from regular PvP encounters, but it lets you choose various parameters. You can choose from Duel, Brawl, and Co-op matches. Duel is straight-forward: 1 vs.1 with no Estus healing and ends when one player dies. Brawl incorporates team battles with up to 6 players with Estus heals capped at 1. In Brawl, players have 300 seconds to get as many kills as possible; the person or team with the most kills wins. Brawl can also be played as a free-for-all with 2, 4, or 6 players. If you don’t want to battle against real players, you can pick the Co-op mode to play against NPC opponents. While the Hollow Arena currently only has one map to choose from, Kiln of Flame, it looks like there might be more maps to choose from in the future, based solely on the fact that it’s a disabled option at the moment. Private matches can be established with a password, so you can easily play with friends. I’m not very involved with PvP combat at all, so this is an area of the game to which I am indifferent, but it’s a great addition for anyone active within the PvP community. Out of all the dlc to have been released by FromSoftware, I felt Ashes of Ariandel was the weakest. There are certainly positives: an interesting story, extended pvp potential, and some new weapons I’m happy to see, just to name a few. Bloodborne’s dlc was originally supposed to be sold in two separate parts, but was eventually combined into one installment; a wise move allowing the content to feel longer and more fulfilling than originally intended. Had Ashes of Ariandel received the same treatment, its flaws would have become almost a nonfactor. Its $14.99 price tag might be slightly more tolerable combined in the season pass, but that verdict won’t be clear until the next dlc installment is released.